CD Maker allows you to make CDs. These CDs can be played on CD players or on Computers. Requires blank CDs (CD-R or CD-RW); hard drive (RW CD-ROM drive or RW DVD/CD-ROM drive). Your window comes with window media player. It can rip CDs into MP3s and burn MP3s into CDs. Real Player can also rip CDs into MP3s and burn MP3s into CDs. It's free for download. It makes VCDs (putting together a bunch of short video clip files). DVD Maker allows you to make DVDs to play on DVD players or Computers. Requires blank DVDs (DVD-R or DVD-RW); hard drive: (RW DVD/CD-ROM drive). Best with duel-or-multiple processors, large RAM, large hard disk. Check system requirements before download. Pros: Good for adding pictures, and creating cool menus. It comes with the latest Window Platform. If not, here is a link to Download, and its SDK kit. Cons: Not so good for video clips, and it seems to take much longer time than other software. Pros: It's good for adding a bunch of short video clips, and a few long movie clips. It's free (open source). It burns at a much faster rate. The menu is highly customizable. Cons: It looks static. Once you get around it, you might hope for more function than it was initially designed for. Pros: It serves multiple function: creating CDs, VCDs, DVDs, data backups, etc. Best for data backups, making music CDs and music DVDs. Cons: If you get it from a package, then you have it. Else, it's not free. It has limited functions with video clips (maybe the upgraded version will fix many compatibility issues). Data files should be stored separately in a Data CD, or a Data DVD. These are the original files before conversion into a flat picture-sound display (music or movie). Music CD, music DVD are stable forms of storage (much like the tapes of the old days). It should stored in a paper, or plastic case in a temperature and moisture controlled environment (not too hot or too cold, not too moisture or too dry). Multiple ones (serials) should be bundled and stored in a package (a brown paper, plastic, or leather box). Music CDs (Audio CD and MP3 CD): Audio CD is different from MP3 CD. Check your software and your disc player before make Music CDs. In general, audio CD is the de-facto form of Music CD. MP3 CDs are more or less a trendy thing (much smaller file size, mostly used as a walkman, listening while on the go). Movie VCD, movie DVD has skip issue (depending on reading/speed level of the movie disc player). In general, the VCDs or DVDs should be written to the full capacity (at least 80%). I find the best usage is between 80-90%. Again, check your VCD/DVD player manufacture documentation before investing too much into this. 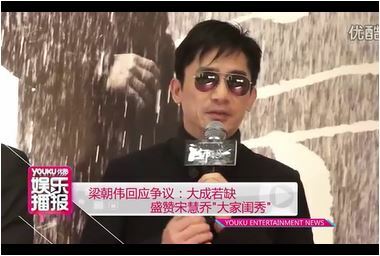 As a avid TonyLeung fan/admirer/admin, I have spent time into understanding digital storage, backup and recovery issues. Good luck to you all! For watching films on a tablet (or other mobile devices): multimedia - tablet.